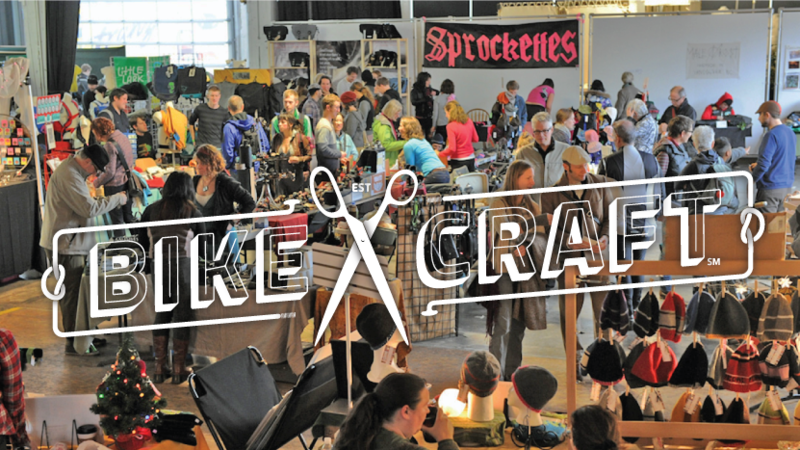 BikeCraft is an annual celebration of local handmade goods for bike lovers. The event is a fun gathering with food trucks, a variety of local artisans and a bikey dose of festive holiday cheer. This year, we are thrilled to be providing the music and visuals for Bike Craft. If you’ve been to our festival over the years, you know how much we love music. That’s why we’re partnering with BikeCraft to curate the weekend’s music with a mix of chill beats and old soul to fill the air as you browse the booths and hang with friends. On our pop-up theater will be showing a series of our favorite movies from over the years. Fresh from our new popcorn machine, we’ll be serving the most delicious PedalPop popcorn. Our signature pop features a popcorn base and all the toppings you want from our extensive toppings bar. We love the holidays! Stop by to say hi, munch on our delicious popcorn and find out what we’re lining up for next year’s festival.